Taking the plunge. It's a phrase that's bandied about with some abandon during the wedding build-up. And when it comes to the honeymoon, it's certainly one of the verbs you'll be wanting to experience on your Caribbean vacation. 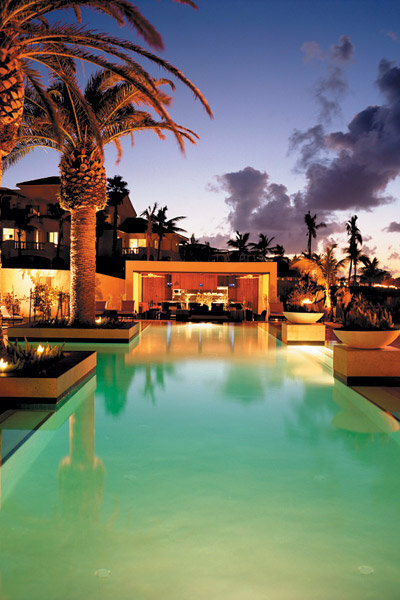 Just which pool you choose to dip your toes into may needa bit of expert sleuthing. 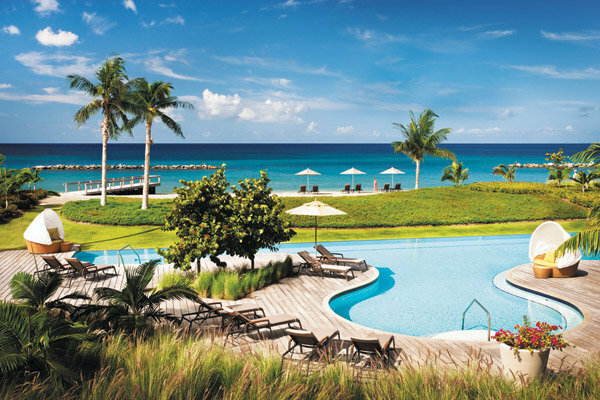 Which is why we tested the waters to uncover the best pools across the Caribbean. The infinity pool at this whitewashed villa resort on Rendezvous Bay flows all the way to the beach (though you can only swim in the top part). And it's definitely photo-worthy. Alternate between the pool and ocean and when you're sufficiently waterlogged, dry off before sampling the resort's celebrated, organic West Indian cuisine and decadent spa services (room rates start at $475 a night; cuisinartresort.com). It's hard to compete with Grace Bay Beach, one of the Caribbean's most celebrated strands with aqua water and powder-soft sand, but this eye-catching infinity pool comes pretty close. 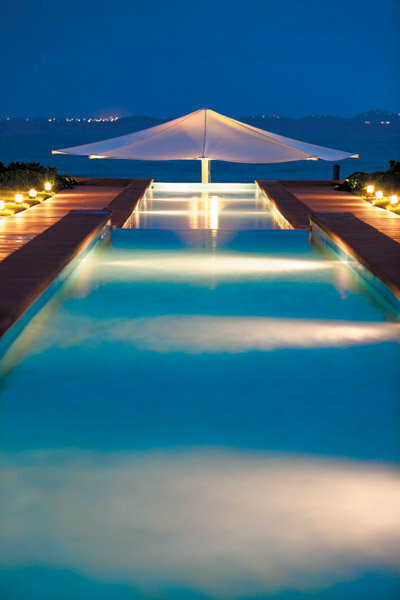 As you unwind — your arms hanging over the pool's translucent edge — you soon realize that your snorkeling cruise will have to wait (room rates start at $620 a night; gracebayresorts.com). This breezy British Colonial-style resort on Pinney's Beach has three swimming pools, but the most breathtaking is the adults-only infinity-edge pool in a private, peaceful location. As you float dreamily, ponder whether to get a papaya scrub in the spa or take a sunset stroll on the beach (room rates start at $375 a night; fourseasons.com). 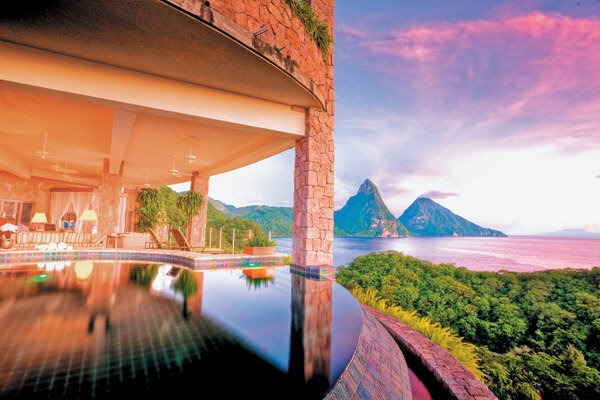 With no phones or TVs in yoru open-walled hillside room, you can observe the spectacular backdrop of the verdant Piton peaks and the cerulean sea from the comfort of your pirvate infinity pool without any buzzy distractions. When you're ready for some beach time, head down the hill to sister property Anse Chastanet (room rates start at $995 a night; jademountain.com). The island's quaint town of St. John with its boutiques and colorful markets is inviting, as are the sugar-soft beaches all around the island. Even so, it will be hard to tear yourself away from your suite's private pool tucked into the lush hillside overlooking the neighboring island of Montserrat at this exclusive resort (room rates start at $1,182 a night and are all-inclusive; hermitagebay.com). Rooms at this lush hilltop hideaway are built without a fourth wall, leaving one side open to jaw-dropping panoramas of the island's marquee Piton peaks. After a day of hiking through the rainforest and swimming in sulphur springs, slip into your private plunge pool — mango daiquiri in hand — to watch the glorious Caribbean sunset (room rates start at $400 a night; ladera.com). Some of the top rooms at this couples-only all-inclusive on Dickenson Bay are the Rondoval garden suites — luxury cottages with hour-glass-shaped freshwater pools enclosed by towering pamls and bougainvillea that are perfect for privacy-seeking honeymooners. Need a bite to eat or another frothy cocktail? Just call your butler (room rates start at $490 per person, per night and are all-inclusive; sandals.com). 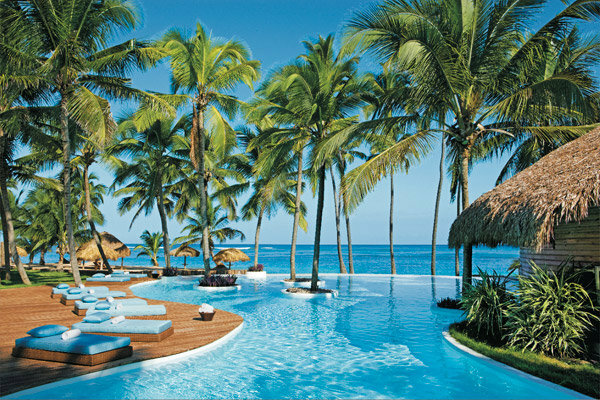 The lagoon-style pool at this luxe Punta Cana resort with 51 luxury thatched-roof suites flows through lushly landscaped grounds offering plenty of private nooks. Rum tastings, cigar-rolling classes, yoga and four restaurants, such as the newly renovated Dominican-inspired Amaya, round out the experience (room rates start at $528 per person, per night and are all-inclusive; zoetryresorts.com). This all-inclusive Victoria-style beach-front resort at Runaway Bay on Jamaica's northern coast tempts guests with three free-form pools amid tropical foliage, all linked together and encircling the resort, creating a meandering mega-pool. Late-night fun includes a sports bar, karaoke and a reggae club (room rates start at $240 per person, per night and are all-inclusive; bahia-principe.com). Click here to read second half of the article.